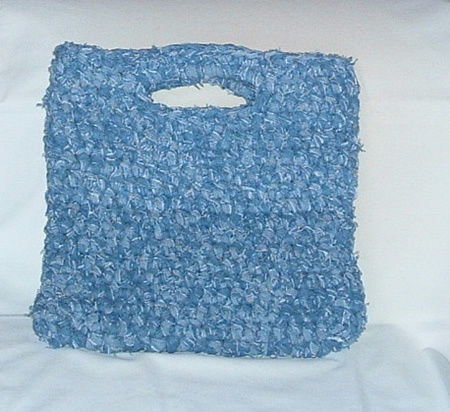 You know how I like the idea of recycling for crochet and other crafts. Ran across this nifty idea that comes with a free pattern so you can make your own. If you don’t happen to have old jeans to recycle, you can find them at garage sales for 50 cents. Other sturdy fabrics like canvas, duck, and corduroy would work equally well. So, raid your closet and pull out your largest hook and get busy! Love this idea! I was going to make throw rugs, but I like the bag even better. Thanks! And–thanks for all your posts on CP, too.